Bangladesh has not seen this type of ferocious attack and killing of innocent people before. We express our deepest sympathy to the families of the victims, although no amount of consolation can soothe them. Our thoughts are also for the injured and terrified. Everyone in the country is feeling the anxiety and uncertainty. It appears to me that regardless of the reasons in the terrorist’s minds, if they had external directives, their one of the main goals was: to hold Bangladeshi economy to ransom without diplomatically attacking it. The consequence of this attack will be felt for years to come. The economy is heavily reliant on export –- the garment/apparel products constitutes about 72 per cent of the total export. The Bangladeshi economy will be in danger, if the foreign buyers do not feel secure, stop coming over here and do not put in orders from our RMG manufactures. At present, none of us would desire such a situation –– that, the employment of millions of people is crushed. However, we cannot dismiss the likelihood of such a consequence. The masterminds behind this attack, to achieve their secret aim, have held up the economy by targeting the foreign investors here. We do not know what their demands are –– maybe the government knows. We need to highlight a point. There would be attempts to characterise Islam or the Muslims through this attack. Those who claim that Islam has no links to extremism are not wrong. Religion is a spiritual belief, a believer can still live as a believer without harming the followers of the other religions, and can even fight in a political alliance with the believers of other religion. While at times we have seen violence in the name of religion, we have to try to avoid blaming the religion wholly to spread the violence. I know numerous religious people who want to live as citizens of a modern state. In every country, there are those who want to drive out, destroy or damage the believers of other religions. The state is responsible to protect all its citizen’s wealth, dignity and religious independence. Many a times, we find Bangladesh lacking on this responsibility. Had the state ensured the right to practice religion for all citizens –– Hindus, Muslims, Buddhist and Christians –– then, the use of communal violence and fundamentalism in politics would have reduced. At the same time, the culture and the education would have been stronger and free. Perhaps, it was the aim of the attackers that the religion be disgraced and religious tension be spread. Comments that spread adversity and hatred among people are unlikely to be helpful in this situation. I have said a few days ago that assassinations cannot be stopped by issuing Fatwa. Nor would we be able to control the extremists. Both sides can find supporting evidence. There are reliable Hadith advising not to attack the believers of different faith during a war, and there are Hadith advocating tough stances against them. However, all these Hadiths which were issued in different contexts are being misused by opportunists for their own benefits. In all religious texts, there are decrees that may appear contradictory. No society, including ours, follows religious texts exactly all the times. Rather, due to progressive development of education, cultural and economy some accepted norms and procedures are established, which all – followers of state religion or other religions – respect and obey. Those norms and procedures are absent in Bangladesh. As a result, by looking at religion we cannot resolve this issue. Instead, it is very important to identify and understand those individuals or groups who are carrying out attacks. Alongside ensuring punishment for their crimes, it is urgent to understand reasons behind their anger, their ethical stance and their ideology. If we want to eradicate or advancement of these ideologies, if we want to ensure that in future such attacks do not repeat, we need significant educational, social, cultural and economic restructures. Another point to consider is even if there are millions who may hold such an extreme view; there will be only a handful who would be prepared to sacrifice their lives for their extreme views. Even though we have fundamentalists and communal-minded individuals, although our intolerance have grown and spread; do we know, in our localities or amongst family relations, a huge number of people who would carry out such attacks? Does anyone expect that after the attack thousands would come out on the streets to support the attackers? No. That is not happening. Rather, majority of the people has condemned this attack. Their feelings are stiffened and are consolidating against the religious extremists. How the attackers are selected and lured to carry out operations, if there are not many thousands? Then there are many more issues such as training, protection and finance. We would have though such opportunities are more readily available in Pakistan compared to Bangladesh due to cultural and political activities during Afghan wars. So we should find less number of jihadi extremists in Bangladesh. However, it is still possible to scout and train attackers form a relatively smaller pool, if assurance and arrangements can be organised. Through this security and secrecy, they can build their ability and, grow. The youth who thought that he was giving his life for the religion, may not even know for which cause he was sacrificing his life. This is how the whole Bangla-Bahi project started and ended during BNP’s rule. If the political gain by using public sympathy is not behind this, we need to consider what else. Would this attack generate public support? Absolutely not. The possibility of a deterioration of economic condition may in fact disenchant pious citizens. To destabilise political and economic conditions that we have discussed earlier remains the most convincing reason. This attack could jeopardise Bangladeshi economy. Then, who are the players, what do they want – unfortunately, we are not so clear on this. Maybe the leaders are not certain either. Or maybe the country would need to suffer further as a pawn between their bargaining. Or maybe all of these are fantasy. However, there is no doubt that the wars in Iraq-Afghanistan-Syria and horrible tortures in Abu Ghraib and Guantanamo Bay have antagonized many youth against the imperialism of the USA. A global trend has emerged – a few youth are attacking people of different beliefs and communities with intense hatred and animosity. This self-destructive process, however, is giving legitimacy to the imperialist war. Often, in the end, they (the few angry youth) are used by the imperialists. But this is only the external influence. The real question is why do our youth fall victims to plot generated by the imperialism? Why are we not seeing the evolution of positive actions and political developments –– patriotism, self-investigation and self-development –– coming out of this hatred towards imperialism? What poisons are being sprayed by our culture and surroundings? Why is this trend so common among the private university students? Without investigating these issues, how can we be so certain? But all these issues stem from a single outcome –– that, our politics is not in the hands of the people. We have said it many times in the past that the nation’s institutions are destroyed, and that this situation is a fertile ground for breeding conspiracies. Those who were supposed to investigate and find out the criminals, instead, killed informant such as Fahim. The drama involving Babul Akther and his wife hints at deep conspiracies. The police can release photos of individuals who had been picked up long while ago, and it may be possible that the Police do not even know the names of those they kill in ‘gunfights’. Some may even feel mentally vulnerable due to national-haplessness, not being able to pull the strings of conspiracies. I do not know whether the Police can find out the ringleaders behind the attack. Despite two Police fatalities, there is doubt. The people remain suspicious that the state or a vested quarter’s ultimate goal is to hide this. Remembering a news from three years ago: an agreement was being signed with the US to put out terrorism. According to Prothom Alo, the officials from the foreign office had confirmed that the agreement between the two countries would allow information exchange, training to Bangladesh to improve its capacity to counter terrorism and selling of arms. Sycophants would argue that without this pact with US to counter terrorism, Dhaka would have transformed to Beirut. A few, however, continue to state that people are dying and terrorism is on the high due to this strategy. Still, a coincidence amazes me: Islam and terrorism were not uttered before the US economic gloom of 2000 and the global war on terror. I recall an issue of Time Magazine prior to attacking Afghanistan in 2001: the headline of the issue was who the likely perpetrators were, where the US would strike. The possible places for strikes were: North Korea, Nigeria, Somalia, Afghanistan, Iraq and Pakistan. Meaning that the principle was set, but not the target locations. One would be wrong to assume that Dhaka will become Beirut before long. 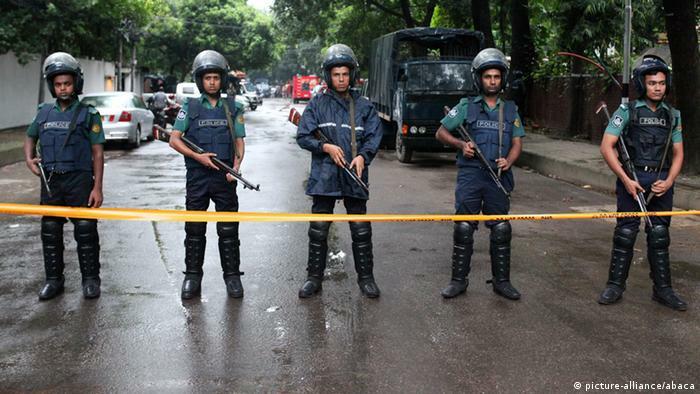 Even if this is part of a bigger international game, Bangladesh is not the target war zone. Rather, there are concerted efforts and hassles to get Bangladesh into players own tents –– ISIS and Al Qaeda are mere exhibitions of these shadow wars. It is not entirely illogical to perceive that while they are not exactly blood-brothers, ISIS and Taliban are complementary to each other’s existence. And luckily, if that hypothesis is wrong, and if we conclude that enthusiastic youth are sacrificing their lives then too Bangladesh would not be precipitated to a full blown civil war. For that to happen a number of preconditions have to be met: a huge vacuum in state power and economy, absence of forces or forces unable to control the situation. We still have power and control. But it is important to note that in spite of the counter terrorism agreement with the USA, the incidents keep happening. By buying the arms, paying the training fees and so on Bangladesh had to help a stagnant US economy. Bangladesh has become part of the war dependent US foreign policy. But what can we, the citizen, do against that? What we can do is politics. We can reject any political parties that give away Bangladesh’s interest. We can reject fundamentalists and communal parties. We can defend against war criminals political powers. We can resist against any conspiracies to destroy Bangladesh’s rivers, forests and employment opportunities. Why do we not collectively confront the ills happening in front of our eyes, forgetting our differences? Why do we not speak up against each communal attack? Our message of counter-politics will be strengthen, if we could do these, if we can overcome our subservience to the government. The conspirators would not been able to make our youth their preys, had we been able to get above our tiny self-interest, a little bit above the US-India-China-Pakistan-Saudi inclining politics to look after Bangladesh’s interest. To achieve our little interests we ignore massive harmful projects in the Sudarbans and in Ruppur. We did not stand with the people of Bashkali. We do not discuss their plight. We do not make noise about the Police harassment we would suffer if we raise these issues. We lightly criticise money vanishing from our state owned banks. We become the associates in corruptions –– and, then, the energetic youth is diverted to the paths of hatred and bloodshed. The extremists have shown their power. There is a start and end of this in any society. In our society, the end depends on how quickly we can create and develop people’s politics.